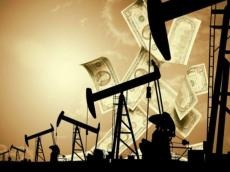 The price of the AZERI LT CIF oil, produced at the Azeri-Chirag-Gunashli block of oil and gas fields, amounted to $68.69 per barrel at the Italian port of Augusta on March 25, or $1.11 more than on March 22, a source in Azerbaijan's oil and gas market told Trend on March 26. The AZERI Light FOB Ceyhan oil price was $68.05 per barrel on March 25, or $0.96 more than the previous price. Azerbaijan has been producing AZERI LT since 1997 and exports it via the Baku-Tbilisi-Ceyhan and Baku-Supsa pipelines, as well as by rail to the Georgian port of Batumi. Azerbaijan also exports URALS oil from Russia’s Black Sea port of Novorossiysk. The oil is delivered there via the Baku-Novorossiysk pipeline. The price for URALS-NOVO with shipment from port was $65.58 per barrel on March 26, or $0.34 more than the previous price. The price for a barrel of Brent Dated, produced from the North Sea, stood at $67.01 on March 25, or $0.7 more than the previous price.